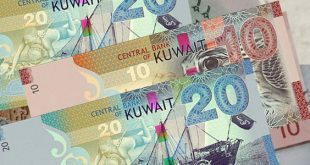 KUWAIT CITY, Sept 10, (KUNA): The Central Bank of Kuwait (CBK) showed Monday that the broad money supply (M2) declined by 0.1 percent last July compared with last June, recording KD 38.3 billion (about $125 billion). 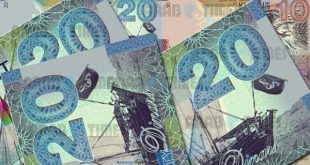 The private sector’s deposits with local banks in Kuwaiti dinars dropped by 0.3 percent in July to reach KD 33.6 billion (about $110 billion), the economic research department of CBK said in a statistical table to KUNA. Deposits in foreign currencies fell by 4.3 percent in July to KD 2.66 billion ($8.7 billion), bringing total private sector deposits to about KD 36.3 billion ($119.6 billion), it added. 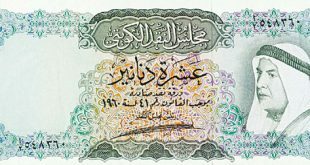 The total balances of local banks’ demands on the central bank in Kuwaiti dinar, which is the bank’s July bonds, stabilized compared to previous June, it noted. The total assets of local banks fell by 0.2 percent to KD 64.4 billion ($212 billion). Net foreign assets at local banks rose by 0.6 percent in July to KD 7.25 billion ($24 billion), while long-term deposits with the central bank declined by 7.4 percent in the same month to about KD 1.43 billion ($4.7 billion). The balance of credit facilities used for residents (the volume of bank credit granted) rose by 0.4 percent from June’s level to about KD 2.2 billion, while the average interest rate on treasury bills stood at one-year high at 2.750 percent. Kuwait’s financing of imports jumped 31.8 percent in July to reach KD 356.4 million ($1.17 billion), while the average exchange rate of the US dollar against the dinar last July rose 0.1 percent from June to 302.5 fils per dollar. The central bank’s total value of assets fell by 4.3 percent in July to KD 10.4 billion ($34.2 billion), while the net foreign assets of the central bank fell 4.8 percent to reach KD 10.1 billion ($33.3 billion). Money supply is a term used to express the quantity and size of money traded in the economy and is divided into two main types of money supply in narrow sense (M1) and money supply in broad sense (M2). Narrow sense is a category of money supply that includes all physical money such as coins and currency, demand deposits and other liquid assets held by the central bank. Money supply in broad sense refer to current money accounts, term deposits and savings accounts.